Welcome to the site of Dvorah Simon, Ph.D, psychologist and poet. On this site you will find my poetry, information on Mercy, my book of poems, a schedule of readings and other events, and a description of my poetry-writing workshop, “Words Rise Up From Silence.” Dig around a bit and you’ll also find information about my psychology practice — my resume, professional publications, and services offered. Feedback is always welcome! I’d love to hear from you about your responses to Mercy or to a poetry workshop of mine that you’ve attended, or any other way that poetry intersects with your life. Ground rules are simple: kindness trumps pretty much everything. Not in the sentimental, saccharine, don’t say anything real sense, but in the sense of heart-felt, compassionate truth-telling. My intention in sharing my poetry is to open doors — to spark permission in the listener to find their own connection with themselves, with whatever they find there. I’m operating from a basic philosophy that we are here to be expressions of Light, with all the pretty colors of our own particular refraction. Words rise up from silence — from the universal Om of Creation, from the still point at the center of our beings. Extend your listening, reach deep into the quiet, and when you’re ready, sing. 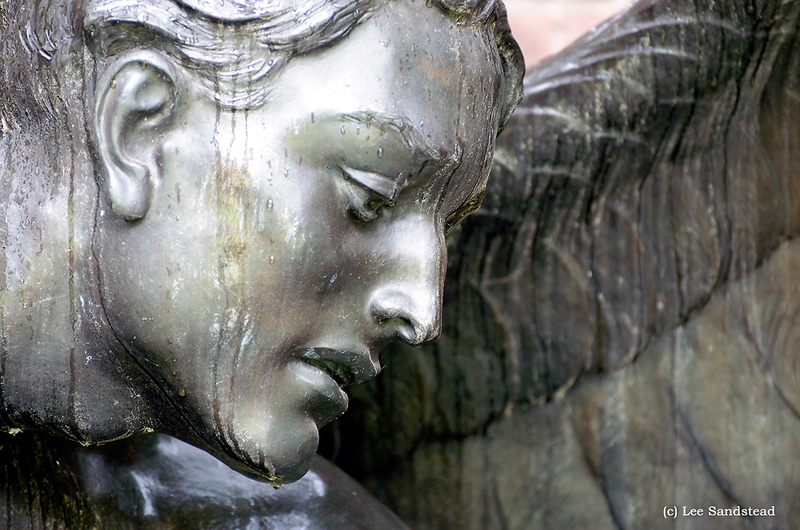 “The Victory of Mercy” by Evelyn Beatrice Longman, photo by Lee Sandstead, used with permission.